The second-year music festival in Pioneer Square adds its biggest-name headliner to date. It’s still dreary outside, but Washington promoters are already gearing up for festival season, with a spate of concert announcements coming in recent weeks. Add to the list Paul Allen’s Upstream Music Fest + Summit, whose lineup is starting to take shape. On Monday, the sprawling tech-sponsored bash announced the first four bands set to play its two main stages. 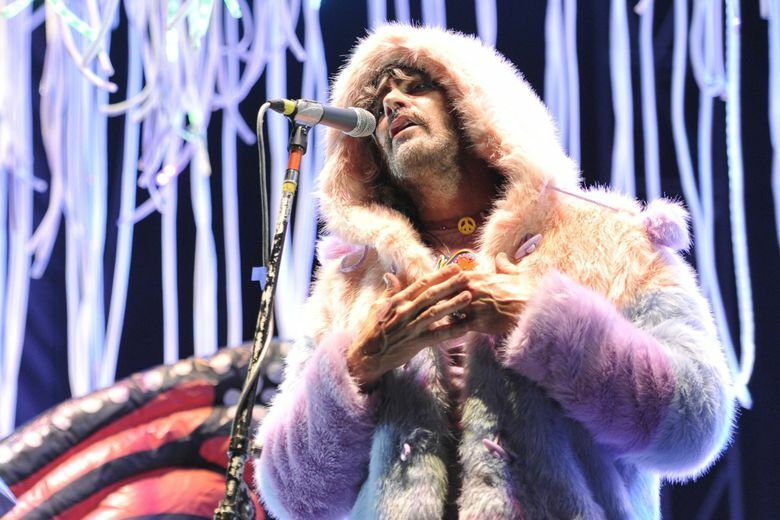 Psych-rock kingpins the Flaming Lips lead the first wave of artists, along with Australian synth-pop heavyweights Cut Copy, Valerie June and Zola Jesus. With the Lips, Upstream lands its biggest name yet and one of indie rock’s most festival-honed acts prone to bizarro theatrics, including Wayne Coyne’s infamous crowdsurfing hamster ball. Both roots music amalgamator June and Zola Jesus (a onetime Seattleite) have established themselves as veteran indie faves, the latter with her sweeping brand of goth-tinged electro-pop. While there are still another 12 main stage acts to be announced, the first round is an encouraging sign. The biggest knock on Upstream’s inaugural year was the lack of big-name headliners relative to its triple-digit ticket prices. To be fair, it’s understandable for a first-time fest to resist splurging too heavily on national headliners, especially one dedicated to showcasing local/regional talent. But most of the bands on last year’s slate could be seen around town for $8-$15. When it’s all said and done, more than 200 bands will swarm the same 15-plus Pioneer Square bars and venues as last year (plus the new Embassy Suites’ ballroom) from June 1-3. In picking the lineup, veteran Seattle booker Meli Darby is joined by guest curators Krist Novoselic, Sub Pop, Chicago-based music blog Consequence of Sound and others. Early bird ticket prices range from $60 for one day to $140 for a weekend pass, with VIP options going up to $650.